This week, The Bastion’s Ayush Jain delved deep into the Eklavya Model Residential School (EMRS) system. Set up by the Ministry of Tribal Affairs in 1997, the EMRS scheme hopes to improve the hitherto educational and socio-economic backlog of Scheduled Tribe (ST) communities in India. EMRS schools currently provide free upper primary and secondary residential education across the country in ST majority districts, while also offering a wide range of extra-curricular activities to students. The residential model especially hopes to reduce the long distances between the homes of tribal children and schools that may have limited access to education otherwise. With a revamped budget of Rs. 2,242 crore approved by the Cabinet in December of 2018, the Centre hopes to take on some of the scheme’s infrastructural and resource limitations with a consolidated flow of funds to improve educational indicators for the ST population. Yet, although this increased intervention tries to address financial shortcomings, and existing socio-cultural based educational inequalities between other social categories and STs, all-important cultural concerns remain unanswered. Dr. Uma Maheshwari Chimirala is an Assistant Professor at NALSAR University of Law, Hyderabad. Her research focuses on language education. 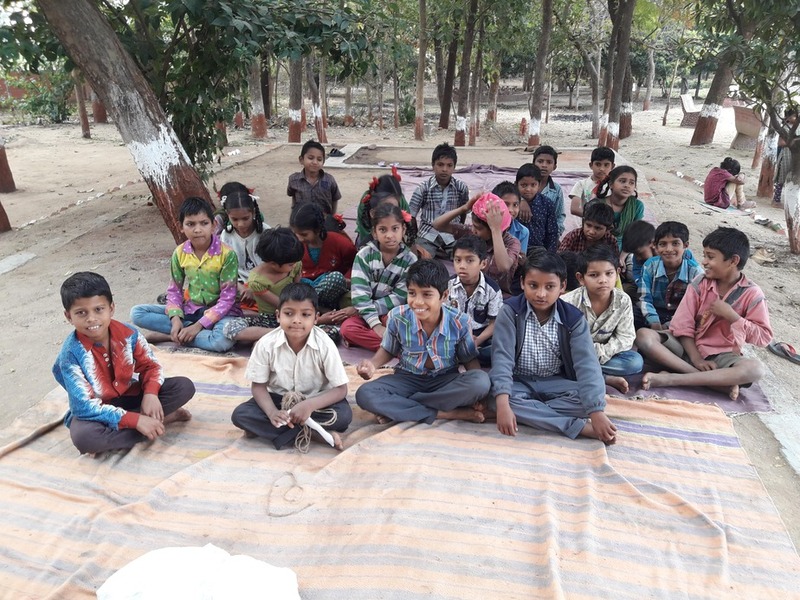 Specializing in language rights and language conflict, her latest project funded by ICSSR engages with young multilingual tribal learners of Pota-Cabin Schools in Chhattisgarh. In this interview with Ayush, Dr. Chimirala, speaking in the context of EMRSs and the Indian State’s residential education policy for tribal communities, identifies how such nationalized education systems can encourage cultural assimilation. The demand to educate in dominant ‘mainstream’ national languages and knowledge-systems can act as a major deterrent to learning in such classrooms. This could implicitly affect the quality of education received by many students at residential schools for ST children. How can policy-makers develop education policies and learning opportunities that are sensitive to India’s cultural and linguistic diversities? Ayush Jain: Why is there a need for a separate school system for ST students, and why a residential one at that? Dr. Chimirala: Several explanations exist: the first being that the State recognizes that tribal culture is distinct from the national ‘mainstream’. Assimilatory objectives could drive such an initiative. A second explanation could be that the State in its welfare role is expected to provide for equal educational opportunities. If both are combined, the need for an education system that can mainstream tribal communities into becoming civilized, like ‘us’, can be justified. This is probably how education has been conceived throughout for tribal communities and is best seen in Canada and Australia. The Truth and Reconciliation report is proof of what the First Nations in Canada were forced to experience. We are doing the same: using the language of Education-for-all without asking Whose Education-for-all and Why? Schools are recognized to be the primary institutions of socialisation and enculturation into national society and culture. As a researcher, I can see that the EMRS model is deliberately constructed to create spaces between the child, their parents, and the larger community, by restricting interaction with their own culture and language. AJ: How do you perceive ‘space’ here? What role does it have to play in assimilation? DC: By ‘space’, I mean the construction of the world in a different way. For instance, take the Sámi, a tribal community spread across Norway and Sweden. Their children experienced schooling that aimed at integrating them into the ‘mainstream’ Norwegian nation. They were isolated from their parents in schools, their prayers were Christian, and the food they ate was Swedish or Norwegian. They had to speak either Swedish or Norwegian, or they would be punished. There is a direct violence in this particular model because of which a common language is no longer available between two generations to speak. What you see in India is covert violence, where you’re implicitly told that your language and culture has no value. It’s not going to ‘benefit’ you to study in this language. Additionally, in the EMRS model, the child is separated from the parent. Why? The presumption here could be that the parenting style of a tribal parent is not suitable for the tribal child. So, here the state is wielding its power into the family-state space in the case of tribal children. This is a quiet implicit violence of its own. If you look at statistics published by the Ministry of Tribal Affairs on EMRS schools, what do they document? You’ve got a list of districts where the schools are located, their numbers, overall costs, and particulars like whether there are sufficient rooms. Nowhere is there a mention of which language the child be spoken to, or how ‘care’ and ‘contentment of the child’—both central aspects of parenting—will be addressed. We presume that the language question is solved and unproblematic. This aspect goes unnoticed, impacting tribal culture, and educational outcomes as well. AJ: How exactly does this phenomenon impact educational outcomes? DC: If looking for a causal link, then we need to look at the relationship between language and cognition, because language is a social construction. Till the 3rd, 4th or even 5th Grades, language is context supported and cognitively undemanding (Cummins, 1981). How? Textbooks use pictures, familiar themes, or local cultural artifacts to facilitate understanding of concepts. This use of language is called BICS – Basic Interpersonal Communicational Skills. What happens with the nature of language use when you move on to the 6th grades and above? There are no pictures anymore, and everything taught is through the medium of language. For instance, recollect studying Chemistry – all of a sudden Oxidisation meant something in relation to Reduction. Look at the level of abstraction through language. This nature of language use is called CALP – Cognitive Academic Language Proficiency. Concepts here are non-contextually supported, and thus cognitively demanding given the nature of language use. AJ: How can developing foundational skills in one’s mother-tongue assist learning throughout the course of one’s education? DC: For the child, language is a medium to understand things, it is a tool used to decipher and construct meaning, to convey ideas. When we try to bring different languages into tribal students’ classrooms, we erroneously see them as independent, discrete units in the child’s head. There is no effort to ensure that the child effectively navigates from the BICS of one language to the CALP of that same language. What pre-exists in the child’s head in terms of their mother tongue is not allowed to develop to the CALP level. This hinders access to learn any new language, as literacy skills are foundationally interdependent and transferable across languages. Similarly, coherence in writing a paragraph, in using organizational techniques are known to be transferred across languages. The interdependence of language capabilities in the child’s cognition is not recognised, and hence is not tapped across the educational system. This is especially reflected in teacher training. AJ: So, how do teachers respond to the importance of educating in the mother-tongue? Are they trained to accommodate these realities in the classroom? DC: If and when we talk of teacher training in this country, we fail to probe whether we’re training our teachers to cater to the specific needs of children (though NCFTE , RTE  and several aspirational documents recognise this in principle). Who is the imagined child for the teacher education apparatus? Teachers are trained with the assumption and mindset of teaching a monolingual child. So the medium of education happens to be languages which are uncritically presumed to be ‘useful’ for mobility; teacher education emulates the same, subjecting the child to a form of cultural violence. This is one major limitation of our teacher training model itself. AJ: What is the drawback of not cashing in on the mother-tongue capability of the tribal child? DC: Now, across their education, tribal children have to traverse from their mother-tongue, into the regional language, and ultimately into the language of power across their education. This creates a divide at two levels. Tribal children are not allowed to develop CALP in their mother-tongues, because they have to enter into the regional language education systems. By the time regional language’s BICS is developing, they move into the language of power. So, the CALP is developed neither in native nor regional languages. This struggle with CALP begins in Grade 6, where everything is language-based. Can the child be cognitively engaged in such a scenario? Are we asking this question? AJ: Studies show higher rates of absenteeism and dropouts amongst ST students compared to other categorizations of Indian students. To what extent do linguistic factors impact the assessment of these indicators? DC: What does ‘absenteeism’ and ‘dropoutism’ mean to you? Having a child’s name in the register but not bodily present, does that constitute absenteeism alone? We talk about physical absenteeism in these indicators. What about when we have a child in the classroom, who doesn’t understand what is being taught? What about cognitive absenteeism or dropoutism? We’ve created an education system where the fundamental question of language remains unaddressed, which definitely intangibly impacts educational outcomes. Professor Ajit Kumar Mohanty sees such students as being ‘pushed out’, as opposed to ‘dropouts’. Yet, investments in training are simply not made to correct this. The LiRIL (Literacy Research in Indian Languages) Report states that it takes a child at least four years to fully grasp the Indian script system. Once the spelling system of your mother-tongue is cracked, the spelling system of any language in the world is going to become navigable. This is what I meant by the CALP transference. AJ: So you’re suggesting the statistical educational indicators convey limited information. How do we move beyond this to devise indicators reflective of classroom realities? DC: Numbers have their effect and they play a big role in policy discussions. We have to think of how to improve our teacher training programs, to make teachers sensitive to these realities from the start. What research tells us is that when teachers become aware of obstacles to learning in their classrooms, they look for solutions within their contexts and are sensitive to learning difficulties. Training needs to focus on honing contextually demanded pedagogical approaches from teachers. I observed a teacher during my research, who teaches Physics at a High school in erstwhile united Andhra Pradesh. She is aware that her classroom contains children from the Paidi and Savara tribes, as well as children educated in Telugu-medium schools. She attempts to teach Science to her students in Savara and then in Telugu. She might use a key concept here or there in English or Telugu, but then the rest of the functional language is in Savara. The point is: she gets across to the child. That’s a more important outcome, rather than asking whether tribal languages are capable of capturing ‘complex thought’ the way dominant languages do, which is a faulty starting assumption to begin with. AJ: So, switching to contextual languages, and translation, are some of the ways that teachers can cater to the variety and the difference that you see in a tribal classroom. DC: Definitely, but a wider understanding of translation needs to be used so that teachers can translate everyday experiences into concepts. I also observed a science lesson where a teacher used hunting to communicate the ideas of force, velocity, and wind resistance. Savara children are taught how to use the bow and arrow as a community activity because they live in hilly areas: hunting birds is an everyday practice. She did it beautifully in Savara. Grade 6 children seemed to understand her, and then she went on to explain in Telugu. Here is contextualized pedagogy in action. AJ: How much of this contextualized style of learning is already available in tribal residential schools? DC: If at all there are manifestations of tribal culture, you will find them in the visual landscape of the school (called the schoolscape), where you may see visuals of a tribal man with a dhol, or a tribal woman in a dance pose. Meaningful engagement is rare. Very often we hear people saying tribal languages are oral languages. Yet if you observe oral spaces, like morning assemblies, you hear Hindi and English – nowhere does the tribal language find space. We legitimize violence through cultural assimilation and end up creating marginalised peoples and cultures. Some textbooks have conceived spaces for tribal linguistic culture. A textbook has been developed in Chhattisgarh, in which tribal languages are written down in the Devanagari script. Similar exercises were conducted in Savara using the Telugu script. These are few and far between, though. In any case, our system does not produce teachers on a larger scale competent to use them to the advantage of the child. This is a gap in the teacher education component itself. The child’s language capital needs to be harnessed and respected. At every stage, the State is fundamentally asking tribal children to let go of their native language and culture, which does not happen to you and me. I never let my mother tongue go. Why should they? Brock-Utne, Birget. (2000). Whose Education For All? : The Recolonization of the African Mind. Routledge: New York and London. Cummins, J. (1981). The role of primary language development in promoting educational success for language minority students. In California State Department of Education (Eds. ), Schooling and language minority students: A theoretical framework (pp. 3-49). Los Angeles: Evaluation, Dissemination, and Assessment Center, California State University, Los Angeles. Galtung, J. (1990). Cultural Violence. Journal of Peace Research, 27(3), pp 291-305. Cover Image Courtesy: Wikimedia Commons. Image used for representational purposes only.